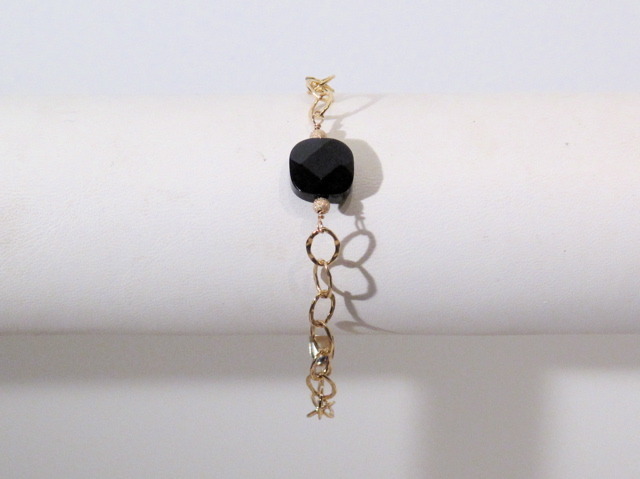 Faceted Onyx stone is hand-wrapped in 14K gold filled wire, on a small hammered link bracelet. 14K GF lobster clasp. 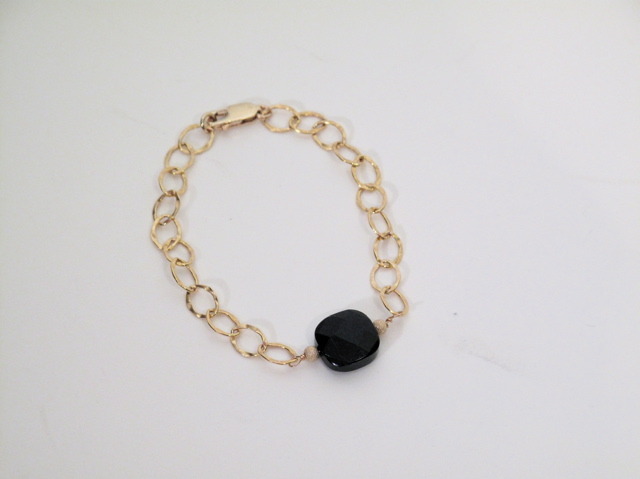 Bracelet measures 7", stone measures 7/8" The colors of Onyx range from white to almost every color (save some shades, such as purple or blue). Onyx has served as a worry stone and material for rosary beads for centuries. Some believe that it has the ability to soothe fears and worries, and control overwhelming emotions. They say it can help a person maintain a positive outlook while awaiting the result of a source of anxiety. They also recommend it for improving concentration and devotion, calming sexual tension and ending marital disputes. 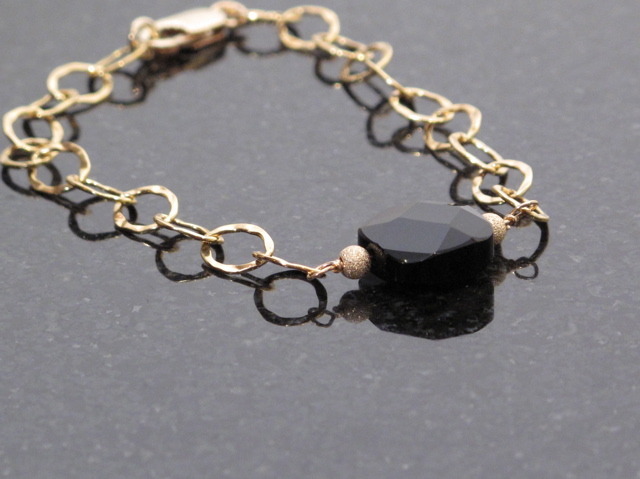 Each bracelet is hand-made and may differ slightly from the photograph. Contact me for custom order info - this bracelet can be made in a number of different stones. Feel free to contact me with requests.